LOS ANGELES (Bloomberg) -- Toyota Motor Corp.'s February U.S. sales gain may be its second biggest since last year's record recalls, even after the world's largest carmaker said it will have to fix more flawed vehicles. The automaker may report a 27 percent increase in deliveries of Toyota, Lexus and Scion cars and light trucks for the month, based on the average of four analysts' estimates compiled by Bloomberg. At most, the recall of 2.2 million vehicles last week may cost the Toyota "a couple thousand units" of sales in February, said Jessica Caldwell, an analyst at industry researcher Edmunds.com. Toyota has spent 15 months reassuring consumers about quality after calling back more than 10 million vehicles for defects related to unintended acceleration. Along with assessing complaints faster, the carmaker added two years of no-cost maintenance as standard on new U.S. models and raised incentives to draw buyers. Following the company's sales suspension in late January and early February 2010, "this February was easy," said Caldwell. "It still looks like they'll be up 28 or 29 percent. And we're conservative with Toyota." Toyota's U.S. sales fell 0.4 percent in 2010 and it was the only major automaker to post a full-year decline. To boost sales, the company is offering zero-percent 60-month financing on Camry sedans and $500 down payment assistance to all consumers, Bob Carter, Toyota's U.S. group vice president of sales, said last month. Toyota is also offering an extra $500 to current Camry buyers who buy a new model, he said. 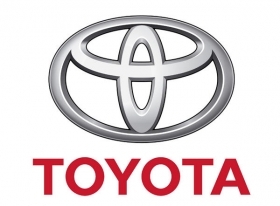 On most models, including Corolla compacts, Prius hybrids, RAV4 crossovers and Tundra pickup trucks, Toyota is offering discounted leases and loan interest rates of between 0 percent and 2.9 percent in February, according to its Web site. "Their incentives were up from January, but not as much as we expected," said Caldwell. Toyota spent an average of $2,041 per vehicle in February, up from $1,942 in January, according to Edmunds.com. That's below the industry average for the month of $2,558, Caldwell said. Toyota and other automakers will release February sales results on Tuesday. Industrywide sales are likely to rise 19 percent from a year ago, the average of five analysts' estimates compiled by Bloomberg, as rising consumer confidence spurs purchases. Confidence among U.S. consumers increased in February to the highest in three years, according to separate reports from the Conference Board and Thomson Reuters/University of Michigan last week. The percentage of consumers planning to buy a new vehicle within six months increased to 4.6 percent from 3.1 percent at the end of last year, the Conference Board said. U.S. sales for Toyota fell 8.7 percent in February 2010, pulled down by a sales suspension on Camry, Corolla small cars, RAV4 crossover vehicles and other models. February will be good for overall U.S. auto sales, owing to poor weather that curtailed some sales a year ago, Rod Lache, an auto analyst for Deutsche Bank, said in a Feb. 24 report. Toyota will further benefit because it only began to lift its sales stoppage on Feb. 5, 2010, he said. The Japanese automaker's monthly U.S. sales rose 41 percent in March 2010, its best monthly gain for the year. Toyota also benefited from the National Highway Traffic Safety Administration's report that found mechanical flaws, rather than electronic defects, were the only likely cause of unintended acceleration in Toyota vehicles. "Things have changed" at Toyota, U.S. Transportation Secretary Ray LaHood told Bloomberg in an interview last month. The company is investing more in safety, he said. "They get it, and I think Toyotas are safe to drive." Toyota's Feb. 25 recall included 1.38 million vehicles being added to its November 2009 recall to fix floor mats that could shift out of position. The company also said it would recall 769,000 Highlander and Lexus RX sport-utility vehicles to fix driver's side floor-carpet covers and retention clips. Last week's recall was "unexpected, but it is more of the same," said John Humphrey, senior vice president of automotive operations at J.D. Power and Associates in suburban Detroit. "Last year, there were more unknowns about the causes of unintended acceleration."